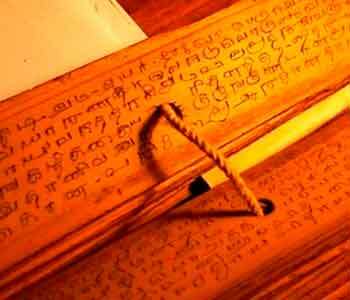 Anil Kumar is a great expert in Numerology. I consulted him for my firm name. His suggestion about changing my firm name by adding couple of alphabets in it proved out to be very lucky for me. Since then i am in regular touch with him for any Numerology related queries. Anil Bhai is one of the best Astro-Palmist in Mumbai. My time of birth is not correct & was not sure weather i will get accurate answers to my problems. Anilji answered my business & finance related questions in few minutes with the help of Prashna Kundli. He just took one number from me & answer was given to me. His predictions about recovery of my pending dues came accurate. I am a student & my parents consulted Anil Kumar ji for my education related query. He guided us properly about my educational & future life & recommended suitable Gem stone for my self for my overall progress. I am doing extremely well in my studies & very confident that will do good in my professional career as well. I thank Anil Kumar sir for timely guidance. I was out of job for six months & was very frustrated. Nothing was going my way. One of my friends recommended me to visit Mr.Anil Kumar Astrologer. I never believed in Astrology & Palmistry & this was the first time i happen to meet any Astrologer in my life. I can not still believe that he rightly predicted my new job joining month & my future career progress. Ever since i have started believing in Astrology. There are very few good Astrologers in the system. Anil Kumar is certainly one of those. I consulted Nakshatra Astrology one year back for my new born daughter's name as per Rashi & Numerology. His Knowledge about numerology is immense. He helped us choose a lucky name for my little angel. May god bless Mr. Anil Kumar. Anil Kumar is a very Professional Astrologer in today’s dynamic world. I’m very much surprised with his accuracy of predictions. I belong to a young generation & I’m sure that his approach towards this divine science will definitely attract more & more young generation towards Astrology. He explains things by giving lot many examples so that it becomes easier for people to understand the things. I wish him all the success in future. I approached Anil Kumar through a friend of mine. I was frustrated with my current job. He predicted that Aug 2010 will be a turning point for my career and I will excel in my job with promotions and rewards. His predictions came true to the point. I have never looked back since then. I am doing well in my job, getting recognitions and rewards. I thank Anil Ji for his knowledge and command over Astrology. Anil Kumar’s Predictions are very accurate. His analysis of horoscope is unique. He predicted correctly about my health and surgery in Dec 2011. I am consulting him regularly since then May God Bless him ! I have visited several astrologers but was never satisfied with their predictions and remedies. I almost lost faith in astrology when my wife convinced me to visit Shri Anil Kumar. For first 10 minutes he studied my horoscope and then he started revealing my past events of my life which were amazingly true. He suggested simple and practical remedies for my problems. Anil Kumar Ji is a master in his field. Best Luck!.. I would like to thank Mr Anil Kumar for his astrological guidance on my chances of buying a house in Vadodara. His prediction came true as I purchased my own flat in March 2010 . Thank you for your guidance sir. 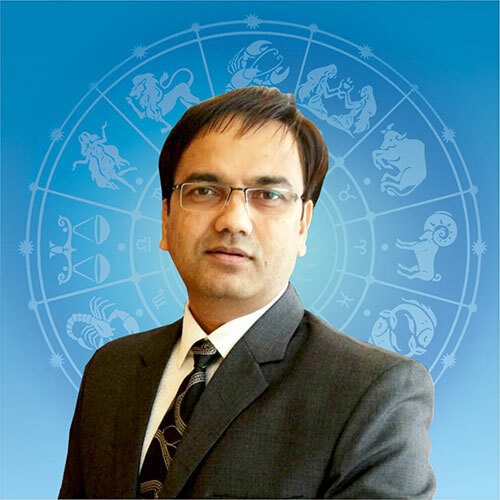 Anil Kumar is an honest, able astrologer and numerologist. He talks straight and does not hide anything. I consulted him for a Lucky name for my business as per Numerology. The name suggested by him for my business has been very lucky for me. My client base has increased multiple folds and I am enjoying my success. I recommend Mr Anil Kumar to others also who wish to take his advice on Astrology and Numerology. Dear Anil Sir, I am very much impressed with your knowledge of palmistry. My birth details were not correct and hence you read my palms in July 2013. You have correctly read out my nature and behavior. Your prediction about my health has come true. Your style of reading a person is amazing. I sincerely pray god for your success. Dear Sir, I was very upset when you predicted that I don’t have a chance to go abroad for further studies in the year 2008. I didn’t believe you at that time and I carried on with my efforts to go abroad for further studies, but as destiny would have it. I failed to get admission in the college which I dreamt for. After that due to my bad health I dropped the idea of studying abroad. You correctly predicted this event and my faith in astrology has regained. We need more astrologers like you in our society. Anil Kumar Ji ,Pranam …. I came to visit you for my daughter’s marriage. She was 25 then. When you saw her horoscope you clearly said my daughter will have love marriage. I was completely shocked at that moment as no body in our family has done love marriage and more over my daughter was also very reserved in nature, but you were very confident about your study and confirmed that she will have love marriage. Your predictions came very true. After 2 years, She liked a guy in her office and both decided to get married. She is now happily married with a son. I had come to meet you a couple of weeks back for Astrology consultation. Must say that I am much relieved now & have reasonably come out of the stress & confusion over my dilemma. Would like to take this opportunity to thank you for helping me come out of this stage... You could answer my query just by Prashna Kundli and Ruling Planets. Thanks to you and your accurate KP System . I have consulted Guruji Anil Kumar and i would like to say that he has provided valuable guidance to me regarding my Job, Career, Marriage & many other things. He also provided his valuable guidance regarding my illness. Every meeting with him gives me lot of encouragement and confidence. It is my good destiny that I came across Mr Anil Kumar. Before consulting Mr Anil Kumar, I had consulted many different astrologers, but, i had not experienced the accuracy of predictions. I was also doubtful about the astrology as a science till then. I heard about him & the KP & i was a bit curious about KP too. So, i decided to show my horoscope to him for consultation. After studying my horoscope, he correctly told me about my field of education, specialization and career. He was also correct about my health problem related to my right ear. I felt really good & got satisfied after his analysis of my horoscope & experienced the depth of his study too. I wish him very good luck for his future progress. Dear Anilji, I met you 2 years back for and astrological advice regarding my married life. I was going through a rough phase in my married life that time and was planning to seek divorce. When you saw my horoscope, you confidentally told me that there is no separation Yog in my kundali. You also confirmed this with a Prasha Kundali. I could'nt believe your words that time. Today i am glad to say that i am still with my husband and things have change a lot over these 2 years. My married life is back on the track now.I salute your command over astrology. I would certainly like to consult you in future also.